Hillwood Stud was founded in 1972. The facilities have been upgraded considerably since Charlie and Tracy Vigors took over the lease in August 2005. There are now 56 stables separated into five separate units and spread over two farms as well as 130 acres of paddocks that are well protected by trees and hedges for shelter. There is also extensive restricted and All Weather turnout available. The stud boasts some of the finest facilities available including a 2.5 furlong railed circular all-weather gallop, two covered Claydon horse walkers and a Polytrack Lunge ring. 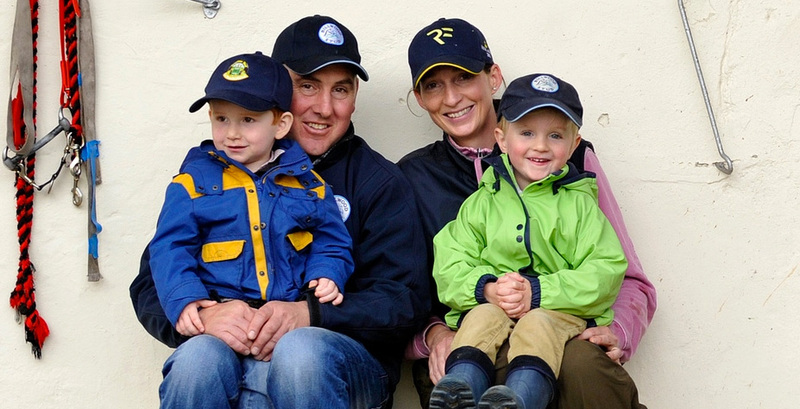 Charlie and Tracy Vigors manage the stud with Harry and Oliver assisting them! Bonnie has been at Hillwood since 2008 and is the Accounts and Payroll Secretary. She previously held similar positions for Charles Egerton and Oliver Sherwood. Alum joined Hillwood in December 2009 as a Groom having previously worked for Jamie Railton. I consent to Hillwood Stud collecting my details through this form.